Eighty-five percent traditional camber and burly torsional stiffness let the rider have the ultimate control when charging the fall line. The stiffer the ski the more the rider can command it into precision maneuvers. In order to achieve the dominate torsional rigidity RMU use two full sheets of Titanal aluminum alloy which add strength but very little weight. Using a backcountry-focused shape lets the ski travel well while touring but keeps the focus on the descent. Increasing the stiffness by 10% and adding more damping in the tip really lets the rider open the ski up even on mixed conditions. It takes some serious effort to get deep in the backcountry shouldn’t you be able to charge the way out? 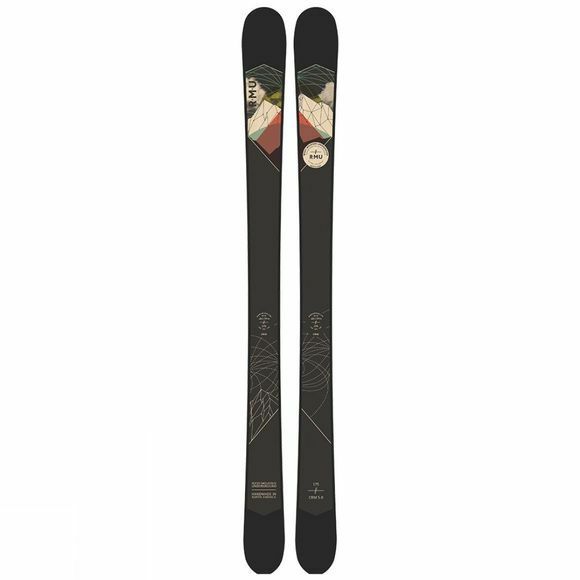 * These skis are 100mm wide, please make sure the brake is the same size or wider than the ski.